5.0 average based on 5 reviews . Recieved it quickly, in good shape and fresh. Thank you. 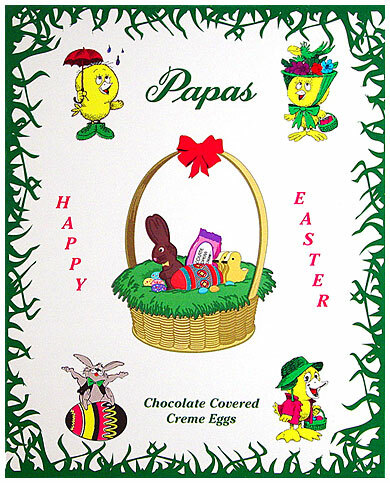 My grandmother always had this brand at Easter. They are a fond memory. They are just as luscious as I remember. Happy I found them again. This flavor has always been my favorite. same great quality and taste that I'm used to! Cincinnati Specialties delivered quickly, too! I live in South Florida but grew up in Northern Kentucky. I grew up on this candy and was truly missing it. I immediately opened the box when it arrived. As I ate the first one my memories took me back to my childhood. They are as wonderful as I remembered.